1. World Wide Quilting Page: This site offers useful, comprehensive information on every conceivable topic pertaining to quilting. For instance, there are links relating to baby quilts, quilt batting, beginner's hints and projects, biased edges, bleeding fabrics, quilt books, computer software for quilting, fabric company addresses, fabric dying, fabric storage, workspace lighting, quilt magazines and mail order resources. 2. Quilting at About.com: This web site provides extensive list of resources such as free quilt patters, how to sew patchwork and more. 3. Quilts and Quilting – Suite101.com: If you're looking for a one-stop web site for quilting, this site provides a comprehensive list of resources. 4. The National Quilting Association: Founded in 1970, this organization is geared toward quilting enthusiasts intent on making, collecting and preserving quilts. 5. Quilting.com: You can find information on a wide range of quilting relating topics such a patterns, quilt teachers, machine quilting and hand quilting. 6. Quilt History: Patches of the Past, Women & Their Quilts: This site provides a slice of the history of quilts and the women who made them. 7. 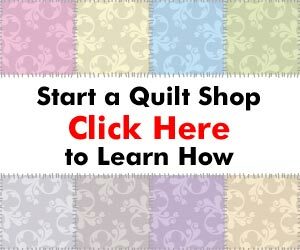 Quiltshops.com: Using this site, you'll be able to search over 50 independent quilt shops at once for quilts, patters, books and more. 8. Yahoo! Directory Crafts > Quilting: This site provides a comprehensive directory to quilt shops, organizations, events, forums and more. 9. Quilting Reviews: If you want plenty of resources to keep you busy for hours, this site is for you. It provides info on books, magazines, supplies, fabrics and techniques. 10. Sewing and Quilting News: This site provides news and commentary on subjects related to quilting. There's also a Sewing & Quilting newsletter. There are many resources online to help you learn more about the quilting and the quilting industry. The sector isn't standing still, so it makes sense to keep on top of what's going on. You should consider subscribing to some of the free newsletters these sites provide. This will provide you with regular access to news and developments. Also remember that quilting-related web sites are also good places to spend your advertising dollars. So keep your eyes open and be on the alert. The industry is constantly evolving. Be on the ready. The World Wide Web is full of resources to help you keep on top of what is happening in the rapidly evolving quilting industry. Ultimately, however, it's up to you to take the time to find these resources and use them.